Is Mercury in retrograde again, because my dogs have totally lost their minds this week. Toys everywhere, chewed medicine bottles, calls to the emergency vet, you name it. What in the world is going on!!!!! Right when I think my little babies are all settled into their new home they have the craziest week ever! Little Memphis was adopted into his forever home on Monday, so I'm wondering if they are missing their little puppy pal. Either way, they are cute even when they are bad. I could just eat them up I love them so! Daniel is turning 30 in August. The Event Planner in me really wants to throw an elaborate party to celebrate what an amazing guy he is, but for all who know Muffin, that just isn't his style--and it is his birthday after all. So before I started planning something that he might hate, I just asked him what he wanted to do (I know, what a novel concept). Muffin suggested that we go on a trip and his only requirement was that we spend the time relaxing without an itinerary. In just 45 days we are heading even further south to celebrate my special guy's day with sun, sand, and tequila! Be sure to follow along with the hashtag #muffinis30! Going on a beach vacation means that I actually need to buy some new swimsuits (YIKES!!!!). I have managed to get out of doing this for a few years. According to Daniel, however, it is time. My old swimsuits need to be retired. I just HATE. SHOPPING. FOR. THEM. The lighting has to be perfect, I have to be in the right mood, heaven forbid they have a cheap mirror in the dressing room and my hair and make-up aren't just so...otherwise it's all over. That's why I've decided to do a little online recon before actually tackling this issue in the stores. The above four are my favorite swimsuits thus far. What do you think? Option 1. Option 2. Option 3. Option 4. Book Nerd Alert. 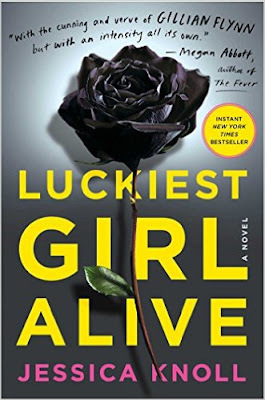 I'm currently reading Luckiest Girl Alive by Jessica Knoll. It's a great mix between Gone Girl and Devil Wears Prada which makes for a great Summer Page turner. It is just what I needed after a grueling statistics class. If you are looking for a good book for the summer, this could be the one for you! 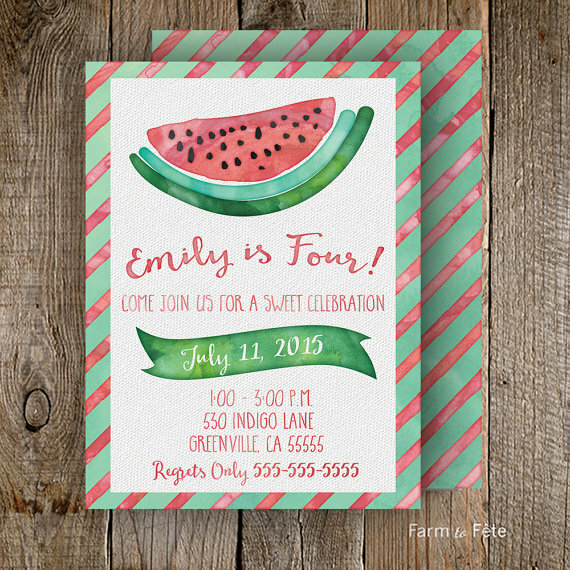 My favorite Etsy Shop invitation of the week is this Watermelon invitation. It is perfect for Summer parties of any kind and makes me wish I had a reason to use it! 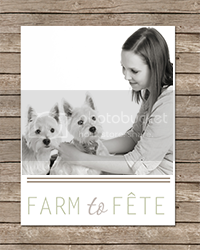 I'm constantly adding new designs so be sure to check back. If there is something you would like to see, please let me know and I would be happy to make it for you. 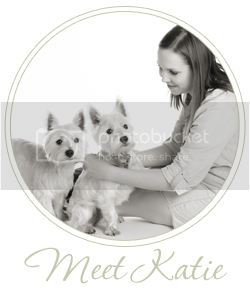 Lastly, I've had several requests for printing services and that is something I can offer if you are interested--just shoot me a message! This invitation is adorable! I will be sure to check out your shop - so sweet! Shopping for swimsuits is the worst! I hate it! I'll have to check out Luckiest Girl Alive. It sounds like something I'd like! Those swimsuits are the cutest! You can't go wrong with any of the ones you have posted. That invitation is so cute!! I need to save that. And your dogs - just the sweetest faces. Just adorable! Hope you're having a great weekend! Thanks for linking up with us H54F.